Many times in life we face a situation where we are stuck & don’t know what to do. It seems life is going nowhere and really need to boost ourselves. If your are also looking for how find inner peace and happiness within yourself then your are at the right place. You need to meditate to strengthen inner self. Let us relate to a simple situation; we get very emotionally charged when someone criticize or scold us. Especially professionals, students & working people face this kind of situations more often. If we remain graceful we can handle the situation properly & also we can learn from it. But being graceful cannot become habit, it can only be internalized with regular practice of meditation. Meditation is one of the great eastern practices that has started to take hold in western culture. In fact, people all over the world are benefiting from it, both in mind and body. So, why isn’t everyone meditating? It could be that not everyone knows of all the amazing benefits like increased relaxation, and decreased levels of anxiety and depression. This article contains a run down of only some of the many benefits of meditation, and a set of instructions for starting your own meditation practice. This article is split into two main sections. First, we discuss the benefits of meditation. After that, we talk about how you can start your own meditation practice. If you don’t know of the many benefits of meditation, we recommend you read through the next section. It will help to motivate you to stick with your practice. If you already know the benefits of meditation, feel free to skip forward. 1.3 What should I feel like after I’ve meditated? 1.4 Is meditation hard practice? 1.5 What position should my body be in for meditation? 1.6 How should I breathe during meditation? 1.7 Should I close my eyes, or keep them open? 1.8 What do I do with my hands? 1.9 Where should I meditate? 1.10 When should I practice? There have been many studies performed on meditation in the last decade trying to understand its effects, as well as how it manages to help us so much, both in mind and body. Research into meditation has demonstrated that meditating for a short time increases alpha waves, which makes us feel more relaxed, while simultaneously decreasing our feelings of anxiety and depression. Alpha waves flow through cells in the brain’s cortex, where we process sensory information. These waves help suppress irrelevant or distracting sensory information, allowing us to focus. The more alpha waves we have, the better we focus. Meditation has many health benefits. Interestingly, an increased ability to focus allows those who suffer from chronic pain to ease their pain by choosing not to focus on it. It can also help with various other health problems, including: anxiety, depression, stress, insomnia, HIV/AIDS and cancer. It can also enhance the body’s immune system, making us less likely to get sick. Studies have also shown that meditation can help to reverse heart disease. In the journal Stroke, 60 african/americans suffering from a hardening of the arteries were asked to meditated for 6-9 months. Those who meditated showed a notable decrease in the thickness of their artery walls. Those who didn’t meditate showed an increase in thickness. The conclusions were quite dramatic. Meditation offers a potential 11% decrease in risk of a having a heart attack, and 8-15% decrease in risk of having a stroke. Meditation benefits our minds as well. It teaches us to better control our thoughts. This gives us the ability to quiet those nagging negative thoughts we may have from time to time. A 2007 study, titled “Mental Training Affects Distribution of Limited Brain Resources” in PLOS Biology, suggests that frequent meditation leads to longer attention spans. A 2008 study, titled “Regulation of the neural circuitry of emotion by compassion meditation: effects of medtative expertise” in PLOS One, found that those who meditated had stronger levels in areas of the brain tied to empathy. Through meditation, we gain better concentration, spontaneity and creativity, happiness and peace of mind. Actors experience the effects of meditation on creativity first hand during acting classes. Whenever they make use of their creative impulses, they first meditate. It may seem odd at first, but the results are amazing. Creativity floods to the surface once the mind is cleared of clutter. 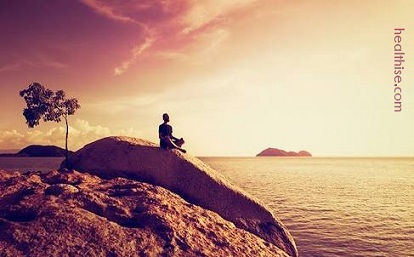 Finally, meditation can help us to discover our purpose in life. By turning our attention inwards, and focusing purely on our own being for long periods of time, meditation can help us gain a new perspective at life, unhindered by our own egoistic perspective. If you want to ask the very philosophical question, “Who am I?,” there is no better way than through meditation. Enough, though, about the many benefits of meditation. 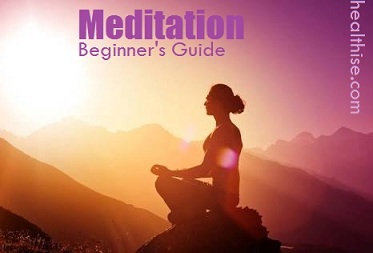 There are many other websites that describe meditation and how it can help you. Let’s start learning how to do it. There is no one way to meditate. As preparation for the process, begin by letting go of any expectations you may have. For the first few times, just sit comfortably on the ground, on a pillow, or in a chair, and attempt to quiet your mind. You will probably have many thoughts swirling through your head; about the laundry, dinner, money, the kids, school, the weekend, etc. Don’t struggle and fight against your thoughts. They are perfectly natural. As they pass through your mind, notice them, accept them, and then gently bring your focus and attention back. You will receive a more detailed explanation in a moment. The longer you keep up with your meditation (not in one sitting, but over the course of your life), the longer you can quiet your thoughts, calm your mind, and focus. We now attempt to answer some questions we anticipate from you. What should I feel like after I’ve meditated? Probably you want to know if you’re “doing it right”. Most beginners feel the same way. It is common to wonder if you are sitting correctly, or breathing correctly, or focusing on the right thing. In the end, none of that matters. If you feel better after meditating, you’re probably doing it right. It really isn’t, as long as you don’t have any expectations going in. Don’t expect to sit in perfect serenity your first time through. It’s perfectly fine if you don’t. Meditation is for you, and for you alone. It is unique to you. Let it be whatever it is, just for you. When you first start meditating, you may struggle to silence all the inner chatter you have going on in your mind from one moment to the next. We all experience this struggle. You are not alone. The trick is not to fight against it, but just to accept it as part of who you are now, and that you are simply going through a personal transformation. With time, you will learn to calm your mind. There is nothing you need to do to meditate better. There is no need to try to speed things up. If you meditate every day, that is enough (even if it’s only for 10 minutes). What position should my body be in for meditation? You can meditate in many ways. You can sit on the floor, on a cushion, or in a chair. You can lie down, or stand up, or even walk around! Some monks actually meditate while walking. Place yourself in absolutely any position you want that is most comfortable for you. How should I breathe during meditation? Breathe normally. If you can, breathe using your diaphragm, which means air will reach the very bottom of your lungs. This is known as diaphragmatic breathing. It is a great tool for singers. To know if you’re breathing like this, your stomach should push out, and then sink back in. You are free to breathe however you like, though diaphragmatic breathing in and of itself is very relaxing and healing. It may seem uncomfortable at first, but as your diaphragm increases in strength (it’s a muscle), it will become easier. Those who practice yoga will be very familiar with this form of breathing. Also, if you want to see it in practice, children breathe this way naturally, especially babies. You can practice breathing using your diaphragm by laying on the ground, placing your hand(s) over your stomach, and trying to push your hand up by breathing deep into your belly. That will give you a sense for what it feels like, and you can then shift your position as you see fit and try to mimic it. Either way, don’t fret if you can’t sustain it while meditating. Everything will happen in its own time. If you yawn during meditation, don’t worry. It’s perfectly natural. When we do a lot of deep breathing, and enter a relaxed state, the body yawns naturally. Don’t fight it or think poorly of your ability to focus. Should I close my eyes, or keep them open? Whichever you choose. Keep in mind that the practice does not involve actually falling asleep. You are trying to remain alert and keep your focus and attention. If you are sleeping, you are doing neither (and you might fall over, unless you’re lying down). You can’t keep your eyes completely open, usually, because of dust and whatnot, and our eyes naturally get dry. You will need to blink, at the very least. You may wish to keep your eyes closed, because it helps to focus on what’s happening inside your body. There are different beliefs here, and it is unclear whether any technique is better than another. If you hold to certain beliefs, then holding specific shapes with your hands, or placing them in different positions, will have different effects. You are free to search around at the various possibilities, if you’re interested. The basic approach is to place your forearms or the backs of your hands over your knees (if you’re sitting on the floor), palms up, thumb and wring-finger touching. Another popular position is to sit with your hands in your lap, making an oval shape. The back of your right hand sits in the palm of your left, fingers over fingers, and the two thumbs gently touch each other, forming the oval. Truthfully, any position will do. Place your hands on your knees if you like. Most prefer to have the hands facing up. Pick somewhere quiet where you won’t be disturbed. Meditation requires prolonged focus, and if your attention is constantly being dragged elsewhere, it will be difficult to carry out until you have more experience. With time, your focus will reach a point where you can meditate anywhere. Most books and experts suggest meditating in the morning, when our mind is fully alert. It will help you to focus, and you’ll be less likely to become sleepy. If it doesn’t fit your schedule to practice in the morning, then do it in the evening. Meditating has too many benefits to avoid it just because you can’t do it at the “ideal” time. Now that you’ve figured out how your body wants you to sit, and what feels natural to you for your meditation, we outline the basic steps to get you going. It is assumed that you already have a time and a place you’re going to meditate that’s quiet, where you won’t be disturbed. Set a timer for 10-15 minutes, depending on how long you want to meditate for. You should not meditate for longer than 15 minutes for your first few times. The timer will keep you from being distracted and worrying about the passage of time. Try and have a timer that beeps gently, as you may become more sensitive to noise. Start your timer, and then get comfortable. Begin by focusing on your breath. Become aware of how it moves smoothly in and out of your body. Focus on it, and the points where it switches from inhale to exhale. Imagine that your breath is moving in and out of a building, its door opening in both directions and never really closing. You will notice thoughts pop into your head now and again, perhaps quite often at first. Your mind has a certain ebb and flow to it. Accept it, and accept yourself. Your mind and body both know what they’re doing. Acknowledge the thought(s), and then bring your focus back to your breath. If you like, you may count your breath. Start by counting every inhale and exhale as one count, separately. Try and get to ten. If your mind wanders off, start counting back at one after you’ve focused back on your breath. When you get to ten, start again at one. Once you’ve gotten to ten a few times, try to count each inhale and exhale together as just one count. Again, try to get to ten as described in step 5. If you get to ten many times during step 6, try to focus purely on your breath and your body, and stop counting. Do not worry if this seems impossible. It takes time, and you will definitely get there. That’s it! The more often you meditate, the more quickly you will notice its benefits. You will notice that after a short time, you can easily get to step 7. You’ll also notice that you get through the steps faster, as you learn to focus. You might then expand your practice by focusing on a word or mantra of some sort. Anything you find inspirational or motivational is a great mantra to use. Repeat the mantra silently in your head for the duration of your practice. The hardest part of meditation is sticking with it. Many people get discouraged because they feel they “can’t do it.” To those feeling discouraged, let go of your expectations. Without those expectations, no-one is judging your meditation. It is only for yourself and your own benefit. If you stick to it for few months, you will get there, guaranteed. For those who wish to learn more about meditation, consider reading the books: “What Is Meditation?”, by Rob Nairn, and “Zen Mind, Beginner’s Mind”, by Shunryu Suzuki.